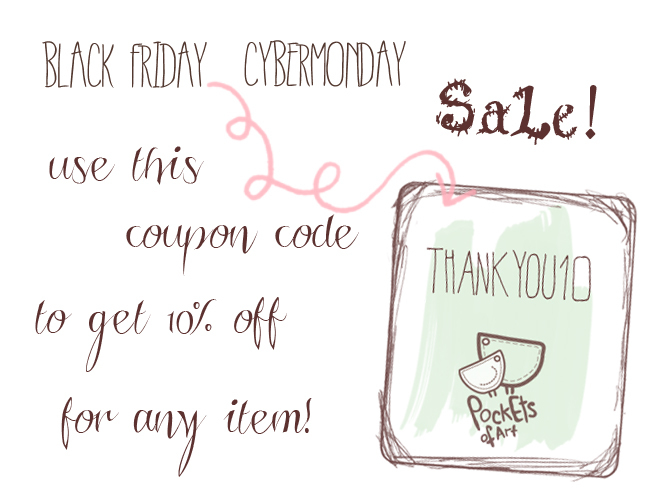 Pockets of Art: Black Friday / Cyber Monday Sales! Black Friday / Cyber Monday Sales! Use THANKYOU10 coupon code to get 10% off for any item at www.PocketsOfArt.etsy.com.